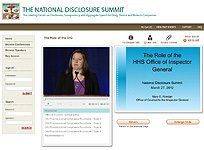 The Sixth National Disclosure Summit conference content is now available in a variety of formats. Online Archive of 2014 Sixth National Disclosure Summit Presentations today! Flash Drive of 2014 Sixth National Disclosure Summit Presentations today! Will Sunshine Data be Helpful to Whistleblowers and Qui Tam Attorneys? Ronald L. Wisor, Jr., Esq. Special Pharmaceutical Compliance Forum (PCF) member registration discounts are available. Compliance Professionals: Up to 23.4 Live CCB CEUs. Approved to offer a maximum of 20.0 Hours of Texas CLE Credits. Approved to offer a maximum of 13.0 Hours of Pennsylvania CLE Credits. The Summit is currently pending approval to offer California MCLE Credit. The Disclosure Summit supported by generous grants from the Heritage Provider Network is now offering partial and full Tuition Scholarships to qualifying representatives of local, state and federal government, consumer advocate organizations, safety net providers, academics, students and health services research organizations. 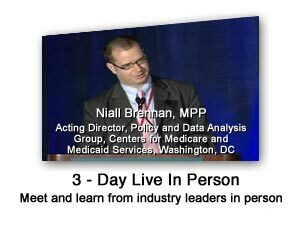 The Fifth National Disclosure Summit conference content is now available in a variety of formats. 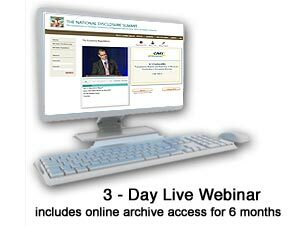 Online Archive of 2013 Fifth National Disclosure Summit Presentations today! Flash Drive of 2013 Fifth National Disclosure Summit Presentations today!